SANTA BARBARA, Calif., Dec. 14, 2017 — Direct Relief grew into the seventh largest charity in the United States in 2017, according to Forbes Magazine’s newly released annual ranking of the 100 largest U.S. charities. The medical aid group received $1.1 billion in donations in its 2017 fiscal year, surpassing $1 billion for the first time since the organization was founded in 1948. The growing support from donors came in a year when Direct Relief extended help to more people in need than ever before in its 69-year history, furnishing essential medications, vaccines, instruments and supplies through 13,554 deliveries to all 50 U.S. states and 86 countries. Direct Relief is supported only by private, charitable contributions, and accepts no government funding. In the Forbes ranking, Direct Relief earned a perfect score of 100 percent in fundraising efficiency (percent of private donations remaining after fundraising expenses) and a 99 percent rating for its charitable commitment (charitable services as a percent of total expenses). Direct Relief has also earned a place on the Perfect 100 list published by Charity Navigator, one of only 65 charities to achieve 100 percent scores out of the nearly 8,000 organizations rated by the charity watchdog for accountability, transparency and financial health. Provided $129 million in lifesaving medicines and other medical aid to more than 1,300 health centers and clinics throughout the United States, helping patients face challenges including chronic diabetes and opioid addiction. 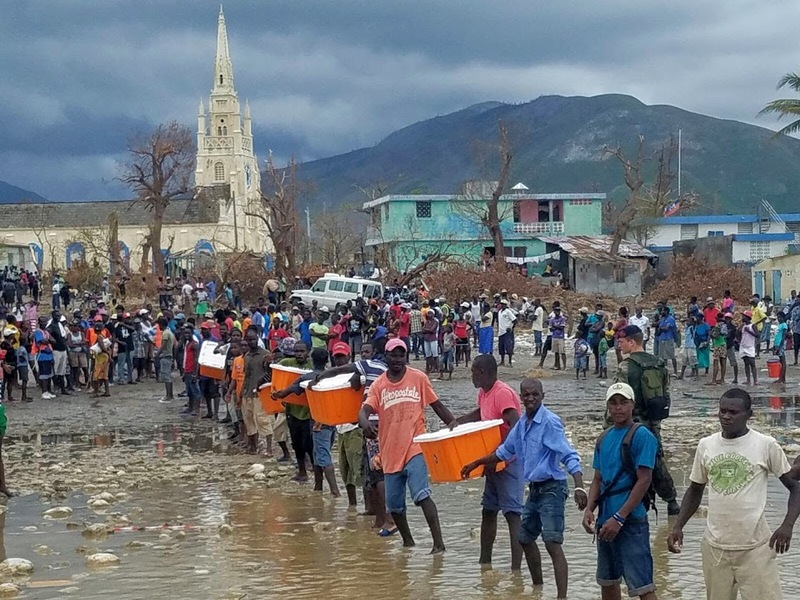 Responded to Hurricane Matthew in Haiti and prepositioned emergency medical supplies along the Gulf Coast of the U.S. and the Caribbean in advance of the devastating 2017 hurricane season. Supported doctors in Syria with urgently needed medical items, including a chemical weapons antidote, after a deadly series of attacks on Syrian medical facilities. Bolstered Yemeni hospitals with medications and supplies to combat a rapidly expanding outbreak of cholera.Since 2009, Direct Relief has provided more than $4.4 billion in lifesaving medicines and medical resources to help low-income people in 115 countries and all 50 U.S. states. The only organization to obtain VAWD accreditation to distribute pharmaceuticals in all 50 U.S. states, Direct Relief operates the country’s largest charitable medicines program. The full list of Forbes’s ratings and methodology for The 100 Largest U.S. Charities of 2017 is available here.